As an entrepreneur, you have an advantage of being more personal with people, test things faster and other benefits. There is no need to chase big businesses’ success. Instead, use your resources to stand out as you are. 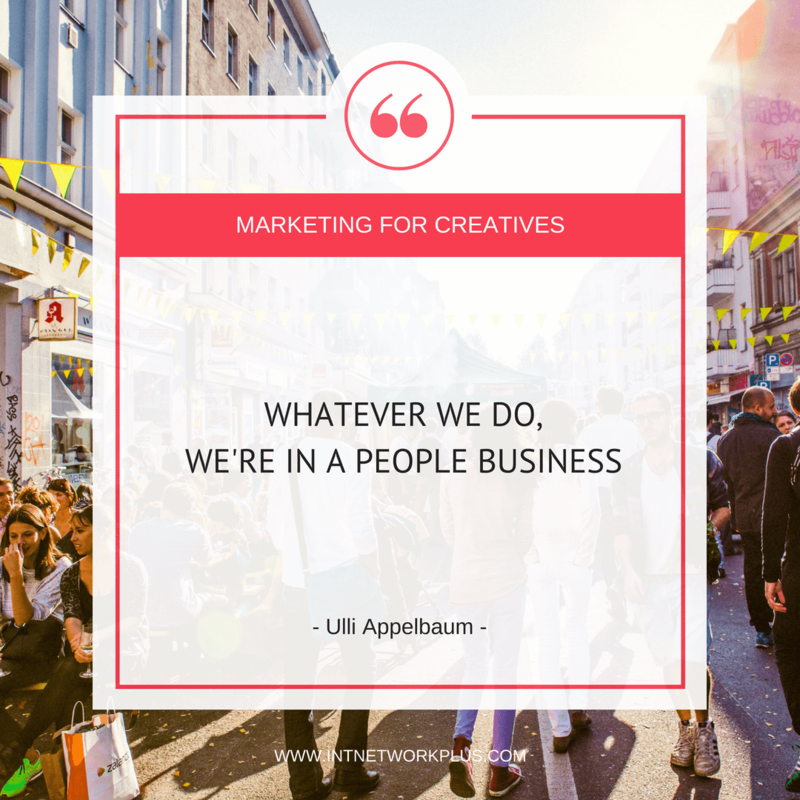 In this episode, Ulli Appelbaum shares how your small business can win the big guys with creative marketing. 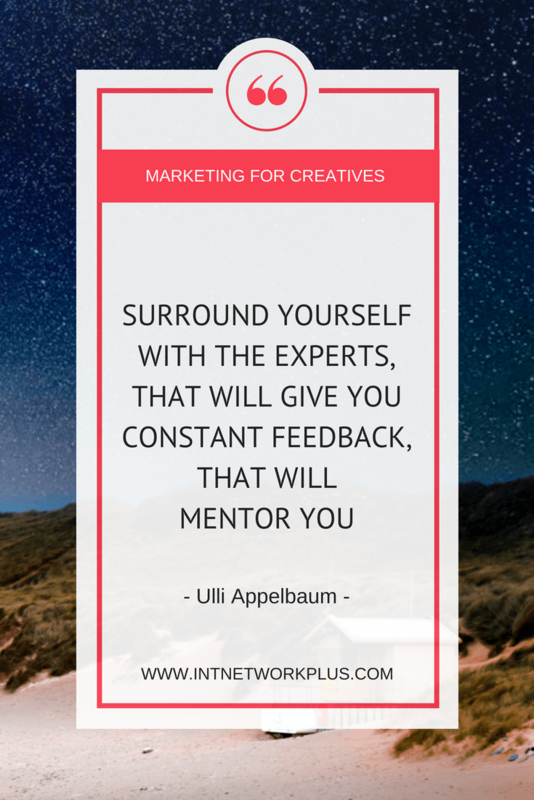 Ulli has vast expertise in marketing and brand strategy. His international experience in coming up with fresh perspectives to position a brand, product or company as well as in innovation has helped companies, large and small, go from zero to success, without breaking the bank. Ulli’s system of flashcards helps executives and teams overcome their mental barriers and see their company in a different light and inspire fresh perspectives on businesses and categories. It’s so interesting to have you here. You have an amazing entrepreneurial story. Please share it with us. Thank you. Right now, I’m an independent brand consultant based in Minneapolis, Minnesota. I’ve always had the desire, you know, when I was a student I grew up in Brussels in the international school environment. That was in the late eighties, early nineties. That was when Europe was being created. That the time already I started to sell t-shirts with the logo on it, called Born to Be European. That was for me my opportunity to make some money before the summer vacation so I can then travel around Europe with that money. I’ve always had the desire to build and create things. I moved to the US in 2002. So, like 16 years ago. I’ve always worked in a corporate environment but always had the desire to do things on the side, to build something on the side. A few years back we decided to move to Minneapolis from LA. The only option for me was to start my own business. For us, it was a lifestyle choice, but it was an option to my business will be able to sustain ourselves. I basically decided to basically take everything I had learned in like 20 years working for large corporations and try to apply it and package it as services for smaller organizations. That’s how I started the First the Trousers Then the Shoes, which is my consulting firm and which will also expresses my philosophy, which is strategy first. But you can take a creative look at strategies or creative process. I’ve been doing this now for four or five years and I am loving it. It’s very exciting times. Interesting. Today we want to talk about small businesses, big businesses. And you know, people tend to look at the big companies trying to catch up with their success sometimes or apply their strategies. You work with brands and strategies. For solopreneurs and small business owners it’s very challenging because they are different businesses, right? How do you think we can learn from them and what are the advantages of being a small business? There are many advantages. We will speak about this in a second. The one point I want to make Marina, one thing people need to understand that, I don’t know how it’s in China, but I know in the US, most people still don’t realize that the world has changed significantly. And the ability now to tap into talent, into resources into skills is unmatched compared to 10 years ago. 10 years ago, if I wanted to produce something, I would have to find someone in my vicinity probably or someone in my country. Now if I wanted a designer their platforms and online services out there that allow me to get a graphic designer out of India that does a tremendously amazing job at a fraction of the cost of what it would get here in the US. But it’s the same with producing manufacturing. I realized a couple of years ago with platforms like Alibaba, which I’m sure you’re very familiar with, is I can literally come up with whatever idea I want. If I want to build a kayak with a fridge built in and a seat massage that has an umbrella I can create the design and I can find a manufacturer on a platform like Alibaba that would be able to produce this. 10 years ago, they would not have been possible. 10 years ago, large companies we’re the ones that had access to research, access to sourcing and manufacturing, access to distribution and retailers. Today everyone has access to the same platforms and skills and tools. Even selling nowadays, you can create a product, put it on Amazon.com and you have access to a million customers. 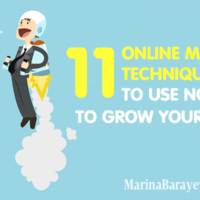 All it takes you is a couple of clicks and a couple of small fees. Ten years ago, that was impossible. The world has changed so significantly, which I realized that in my own business when I started to produce my own products and it basically gives you the ability to create, produce, design, and sell whatever you want. There are no limits anymore. 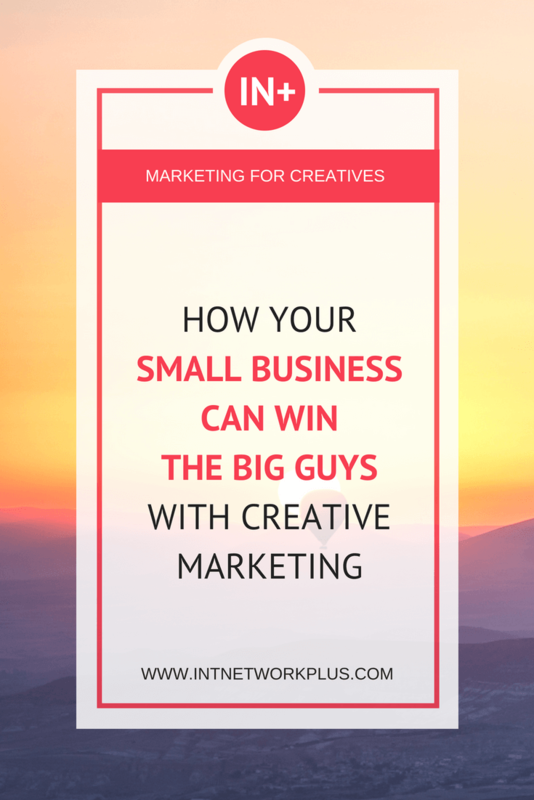 Small businesses are able to compete with large ones like they could never before. The playing field has been evened out so to say. I don’t know if that makes sense, but it’s such a big realization, which as I said earlier, many people still don’t know that it’s possible to do this kind of thing. Let me look at you. You’re in China do a podcast that has reached in the US, in Europe all over the world and what you have is you have a computer, microphone and the idea. It’s possible nowadays. You’re competing with radio stations. Good luck with that 10 years ago. It’s fabulous. what’s possible nowadays. Let’s go deeper a little bit here. So how can entrepreneurs market themselves in these ages and how they can get their market among the bigger companies? Absolutely. The funny thing is, so I worked for 20+ years with large companies and for the last 5-10 years with smaller companies. The interesting thing is always this greener grass phenomenon. Small companies always think large companies have something they don’t and large companies always look at small companies because they’re faster doing things we wish we could do, but we can’t do. I think the starting point is always for any good marketing idea is there a need out there you can fulfill? So many businesses have been created on people being unsatisfied with the offering out there. Then deciding in their garage or their home office to start to provide a solution for that specific business. That’s usually how it starts. But what I’ve learned is, and I think it’s very true in the US, I think it’s also true in Europe, is people want small businesses to succeed because in a small business there’s not a disconnect between the passion of the entrepreneur or the founder of the business or the people working in the business and the business proposition itself. Small businesses usually… You’ll feel, you’ll experience the person and the personality creating the business. What I find interesting is when you look at advertising for celebrating small businesses, you always show craftsmen, the guy working wood or the mechanic working on his motorcycle. There is a sort of like aspiration and celebration of these small entrepreneurs and business owners, which I think gives them a strategic advantage that large companies don’t have. If I’m in Minneapolis and I want to buy a beer, I would buy a local beer brewed by a local entrepreneur. I more likely to buy that than to buy a brand from a large a brewery here in the United States. Because it makes me feel closer to my community. I know it’s a person behind it that is trying to live a dream. I believe that they put way more attention. It’s crafted. So I believe they put way more attention in the quality and in the making of the product as opposed to having a big factory that produces billions of tons or litters of this product every year. If the price is similar or slightly above, if the price doesn’t act as a barrier, I would go with the local offerings. You’ll see that in so many categories in food, in a microbrewery, in all these kind of categories, that’s what I would want to do. So I think there is this innate advantage that many companies don’t or small companies don’t really take advantage of. 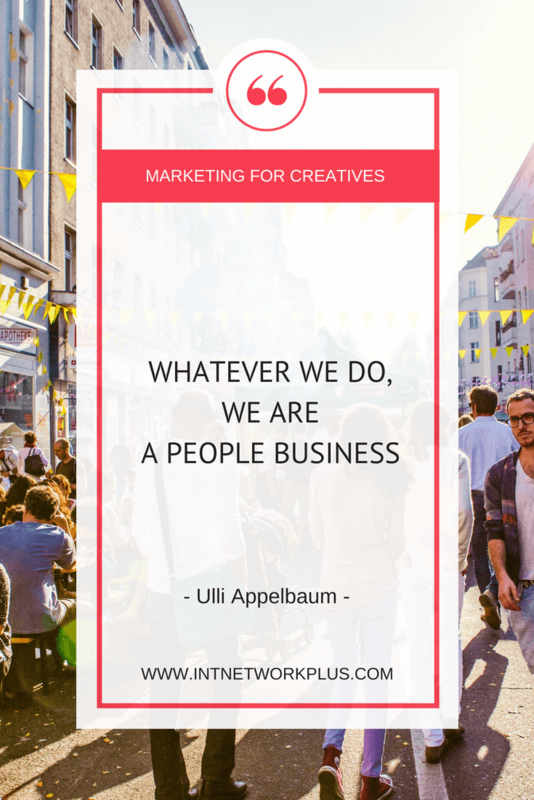 I think the other big thing is we tend to forget is whatever we sell, whatever we do, we’re in a people business. And the bigger the corporation the more removed you are from the people. Or the smaller the business is the closer you are to here. So I think there is an advantage many companies, small entrepreneurs are not fully aware that they actually have. It’s interesting, I started to do not long ago this one on one coaching session with smaller entrepreneurs and those are the pupil in the real estate market, in the financial sector all these kinds of things. What I do is I help them tell their story. Eight times out of 10, it’s not about the offering. What traits do you offer? What financial services do you offer? Because everyone offers fair, more or less the same sort of like services. Why did you start the business in the first place? 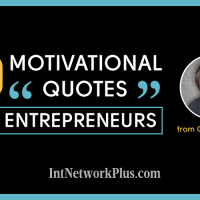 What was the personal motivation to start the business? What makes you different as a person? How can we take those values and translate them into website experience or business experience that connects with people, that people can connect with? Try to do that with a large company that has 10,000 employees. It’s impossible to do. I think that’s the passion behind it, the personal, sort of like the human values behind it puts you naturally at an advantage. People want these folks to win. People want the small guys to win. It puts you two steps ahead in the race for success. That’s something that I believe and I’ve experienced myself with working with my clients. How would you suggest to market with this? Would you rather share the company, the entrepreneurial story than just selling your product or service? How would you implement that? How do you offer them? Why do you offer them? and translated that into a proposition that is appealing to your customers. The dedication I put in creating a product and why I do this needs to turn into a product that appeals to people. If you do a design like a furniture design, it’s great that you have a passion for furniture design. It’s great that you spend your weeks and nights working on it. If people don’t like the way it looks, it’s not going to sell. If it also looks great and people know how it was created. Then you have an advantage over. Even over Ikea out there. So, the art of translating what you do into the proposition that is appealing to your customers, I think that’s the big challenge. Say with microbrews. If you love brewing beers but your beer tastes like crap, no one that’s going to buy it. It’s translating your value, the value you adding to a proposition to an experience that people love and go after or want to go after, basically. That means that first, you create a really good product or service. Then you add your personality, your stories, your human side to that to create the story around your business. Absolutely. And the interesting thing is when do you think about social media. 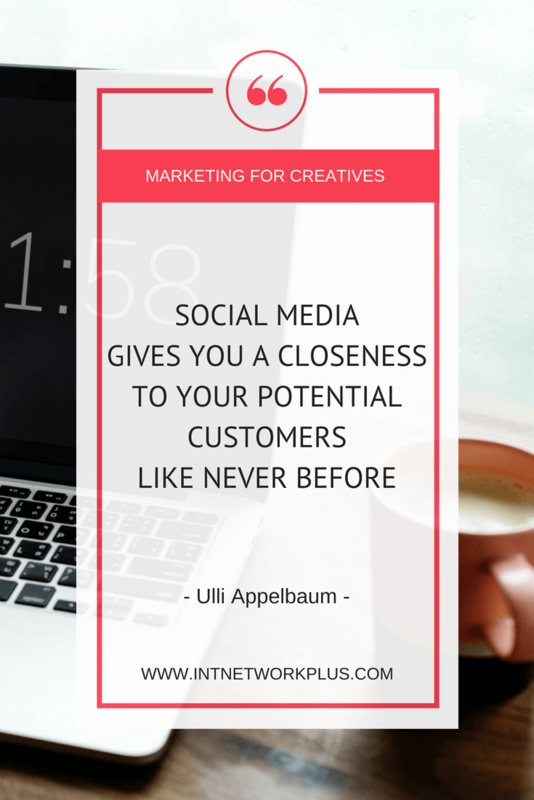 Social media is often becoming more and more media platform, but you have businesses that grow very successfully by… social media gives you a closeness to your potential customers like never before. You can test product ideas. You can find your product. You can get consumer feedback so you can improve the quality of your product at no cost really or minimal cost. But what you can also do is learn how to people speak about your product, what do they like about it? You’ll get your free market research built in. And again, 10 years, that would have cost you a hundred of thousands of dollars. Now you can do it for free or for a few dollars. Well, you can post product prototypes or suggest product prototypes online and see how people react to it. There is a company in San Francisco called Betabrand. They do fashion. What they do is they basically have designers come up with concepts for clothing posted on their website and then let people choose or pre-order or decide whether they would pre-order this product. How do they collect the feedback? Do you know? Social channels. They’ve built up a following over the years and they do great products. As I said, each product is designed by a different designer. And they have an online community that is sort of like following this brand. People like to participate. If I come out there and you know a bit about me and I say, “Look, Marina, I have these really cool new boots for women that are very different from what’s out there. Do you like it or don’t you like it?” Facebook, through my website, Twitter, Instagram now more and more. You can look at it and say, “Oh my God, this is so cool! I love it! Yes, I would buy it.” I get the feedback on. You have that with several thousand people or tens of the people and all of a sudden you get a very clear sense “Oh, wow! This is going to be a success” or “This is not going to be a success.” And people like to participate. That’s for me the other big learning is the best way to communicate about your offering is to communicate it in a way that allows people to say something about themselves. If you have a pair of boots that you really like, you are not going to speak about the boots, you are going to speak about how you look in those boots or what you can do with those boots. It’s a big difference. It’s about you, not the boots itself. People like to be involved and make it their own. That’s what this company does so brilliantly. So here’s a very cheap and easy way to know is the product going to succeed or is your product going to fail? Take big clothing labels, they don’t do this type of things or they can’t do this type of things. They have trend scouts that scout the world. They have buyers that look at what are the latest trends in colors and design in fashion. Travel the world to do that. Order huge quantities somewhere in China or India. Then try to push this through the retail channels. Very different approach than what Betabrand does for example. Technically they could do it too, but usually, these large companies have these structures and processes in place that prevent them to do that. A small company who has no barriers that would prevent them to actually do that. So this is the second way is being closer to your customers, learn from that, use the input to make your product better, but then also use their feedback to understand how to communicate with that. Which one is the third one? We’ve got two already. The third one is, which I’ve learned as well, sometimes as a consultant, my client asked me “What is your experience with our categories?” The reality is often I have no experience with the category whatsoever. But by specialty, and I think that’s where the business is going, is that every business, every commercial interaction, it’s basically two people interacting with each other. So you know, we speak about B2C or B2C and I always speak about P2P, which is people to people. It doesn’t matter if you’re selling printing paper to a large organization. At one stage, there will be a salesman talking to a buyer both have lives, ambitions, wives, children, problems with money through the human beings. Wouldn’t you have a different approach to them? Approach them as human beings. The interesting thing is, coming back to your question, I know a friend of mine runs a smaller cider distillery that creates the produce cider. The way they build a business is literally to knock at every single door of various retailers. The interesting thing is in doing so they’re recently, last year, or a couple of years ago, they connected with buyers at a Target, which is a big retail obviously here in the US. But again, when you listen to how he speaks about his relationship, it’s not, “Oh, I’m big listed with this giant retailer.” It’s not. It’s very personal and human. And that’s what you see with a lot of small entrepreneurs. They knock at doors. They constantly talk to people, listen to people. Both to understand how to find their stories and how to improve their product, but also to build relationships and grow their business in this way. Most people in large companies don’t do that anymore. They look at financial reports. They look at market research reports, they look at trade conferences where you only have people in your own category that come across. People who walked the retail aisle or talk to their consumers every day. You don’t find that so much in the corporate world anymore. Everyone dreams about it. Everyone tells you “Oh, that would be so great if you could do that.” But the reality is we don’t do that anymore in large corporations. And that’s for me, another asset of a smaller entrepreneur and a smaller business. If the small business would like to approach a big business to collaborate or do some businesses together, how would you build those person to person relationship? Who would you find there? How would you do this? One of the interesting things is, at least here in the US, it’s the opposite. Now, it’s the big businesses trying to connect with the small businesses. It used to be that a small business is trying to get the attention of a big guy to get at scale. But there are so many sorts of like startup days or demo days were small startups can create, can introduce and present their ideas which are attended by all the big manufacturers and all the big companies. Large companies also have funds that are dedicated to start-ups. They tried to create little incubators. It’s trying to understand, OK, who in my category is really big and is looking for the sort of like entrepreneurs, smaller companies to learn from and to build on? And try to reach out to those existing venues almost or existing platforms, if that makes sense. But as I said the irony, at least in the US, it’s the world has changed. It’s not the big companies looking at smaller companies to build and grow their businesses. I think one thing you’re going to see, is you’re going to see a lot of microbreweries here in the US that are going to be purchased by the big guys and it’s happening already. And there’s this company here, started in Chicago. It’s basically two guys that started these energy bars. I’m called RXBARs. It’s just energy protein bars you could eat in the morning. They started the company like six or seven years ago. And they literally started to make the products in a kitchen by hand. They did them in such a way that there were no additives, no extras. They were really just the way they wanted them to be. I think six, seven years ago, Kellogg’s global manufacturer that has been in the business for over a hundred years has bought them for $600,000,000. It’s mind-blowing. You’d expect that Kellogg would know how to do these things, but no, they rely on smaller manufacturers, smaller companies to bring this excellence, this expertise, this craftsmanship, and then absorb that basically. Very exciting times. So we just need to follow your path, follow your passion, grow your business, and get to the radar of those big businesses. Exactly. Attend the conferences or the presentation days, to get exposure to your idea. 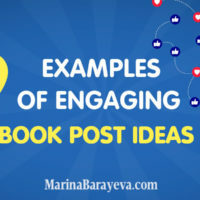 If your idea’s really good, if your idea offers something that no one has those out there, that will catch the attention of the large guys as well. 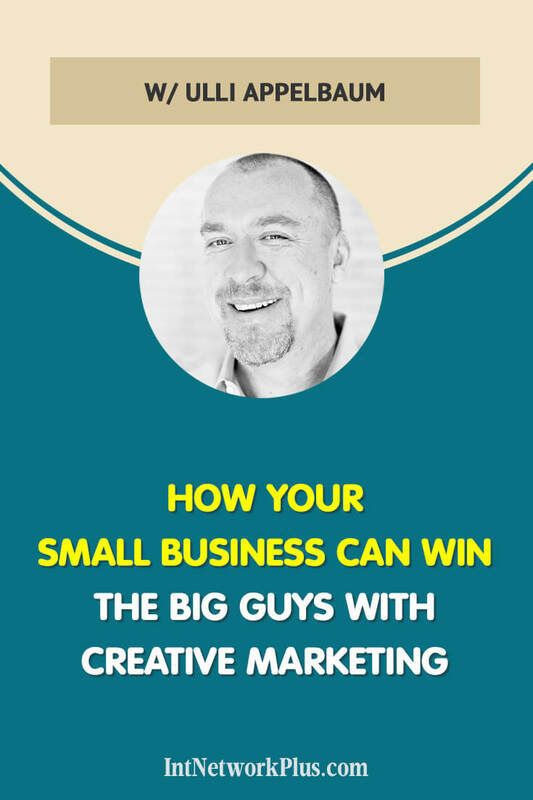 Are there any other ways how small business can win big businesses? I think another way is… I’m a firm believer that we all have these mental biases. Our brain works in a certain way to make us feel good, to make us feel safe, to make our lives easier. That’s great. That works in 80% of the time. But it also sometimes works against us. What I mean with that is you know one confirmation bias is called the confirmation bias, which is basically, I only absorb information and listened to sort of like input if it confirms my own beliefs. That is the worst thing a small business owner can do. That’s the worst thing anyone can do it because it’s sort of like a barrier to innovation. I have a very typical practical example. A few years ago, a small online community for new moms. So like a German guy starting an online community for moms. Very bizarre. My wife. My wife just gave birth to twins and I just saw one day and how she’s connecting with another mom that just had young children as well. In the connection, there was so much magic and so much emotion that even I aspire to be the best husband in the world, which I’m not, I could never create this type of connection. Then I realized there is no online platform that allows moms to find moms in their geography. If you’re a mom living in, I don’t know, in Denver, who has triplets that are six months old, you may want to connect with another mom in Denver that has triplets. And there was no platform to connect you with those moms. So we tried to build it and we bootstrapped it. We did that in addition to my day job. The problem I realized is everyone I was asking about it was telling me what a great idea it was. After like a year and a half or so, I realized that the idea is great, but the way it’s executed really sucked. It was really bad. After like two and a half or so years we decided to close it down, but my learning there was the people around you will tell you what you want to hear and you will listen to only what you want to hear as well. The confirmation bias, it’s basically I believe what I want to believe at the core that’s what it means. The large organizations have that problem and small entrepreneurs have that problem, I believe as well because they’re so focused on building their business that they basically block out everything out there. Which is easy not to do as a small entrepreneur because you’re so busy, but it’s crucial to do because it keeps you on the right track as well. But there are a lot of people out there whether it’s through professional associations, you can find them through LinkedIn or another sort of like professional networks. And what I’ve learned over the years is that where you could easily find people that are sort of like in their sixties, I’m close to retirement. Those are people we have learned so much and have such a sort of like a life experience that they’re willing to share. But the reality is no one really asks them anymore about what their life experiences are. So just reaching out to these type of people a CEO that just retired recently or that retired a couple of years ago. They still want to go back to business. They want to go back to the business. They feel like they have a lot to share, they want to interact with younger entrepreneurs and businesses. And you’d be surprised how open that will be to spend time with you, give you feedback or provide experience and this kind of thing. Again, it’s about just taking the step to do it and then reach out. Technology gives you the platform to do all these kinds of things. Hmm. Interesting. 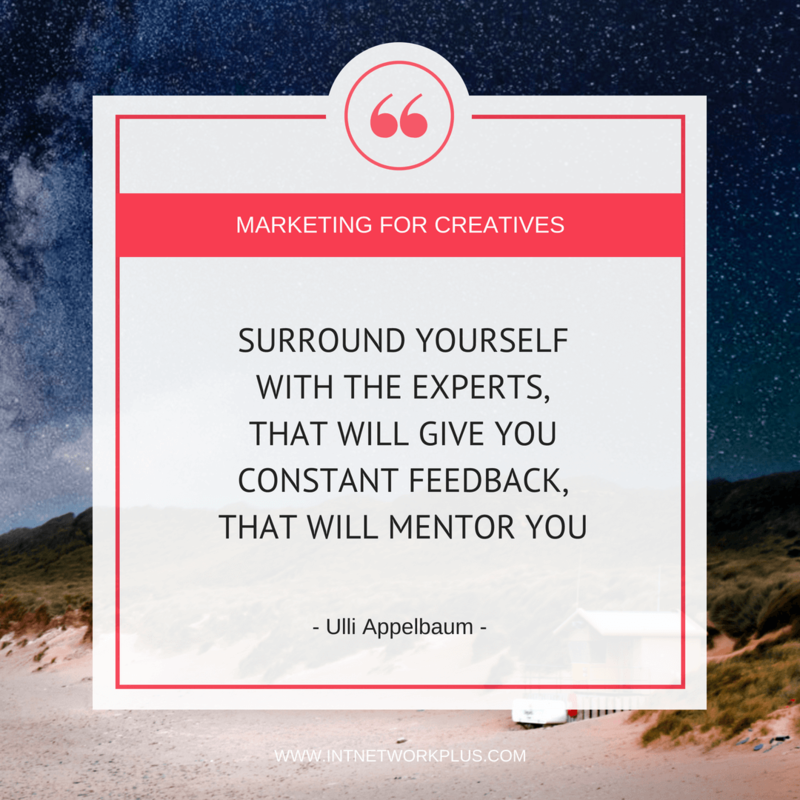 Ulli, if you would put that into a little strategy to our listeners what do you think are the three steps that they could begin with to win those big companies? The first step is to really believe a thing. Believe that whatever you can think of or imagine you can produce at a cost and at a speed that is lower and faster than you think. Everything is possible. That’s sort of like the mental freedom almost. 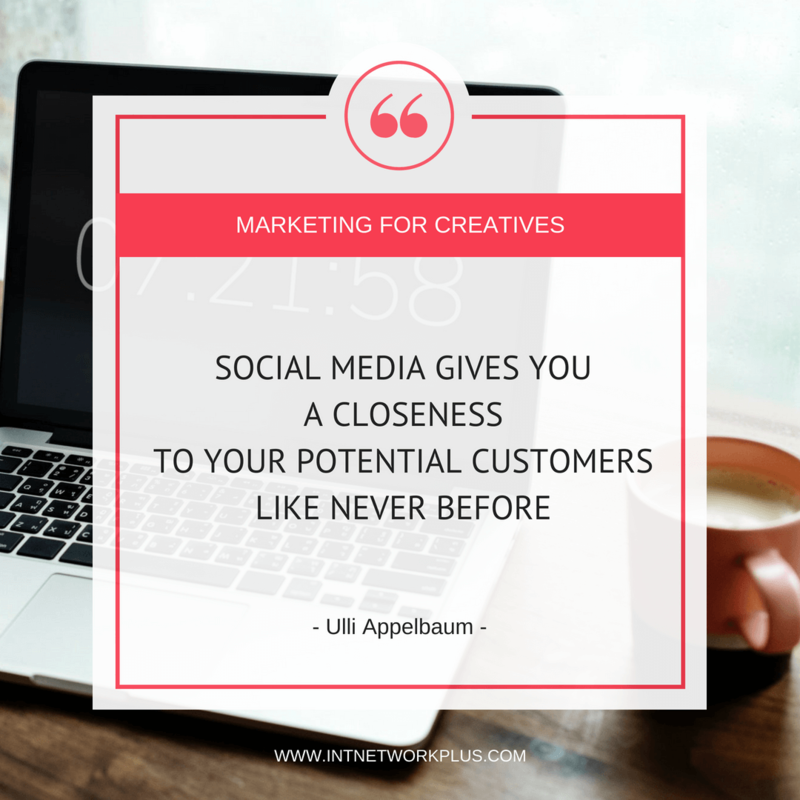 Then is connect with people, both customers, both through social media and in person to help make your product better, to learn what is it they’re really looking for and what they sort of like seek or what problems they’re facing. Constantly iterate your product or service to make it better and reflect these personal interactions you have. You can do that at a speed and at a scale that no large company can do. And the third one for me is really surround you with impartial experts or mentors that can give you a third party professional informed opinion on your business that your family will not tell you and that your lawyer and your accountant won’t be able to tell you either. If you have this, I believe these three sorts of like pillars I can do whatever, I can produce whatever they can dream of. I can constantly make it better by learning, by interacting with people, customers, and others. And I can create my own sort of panel of mentors and experts to help me guide in the right direction. You are miles ahead of large corporations because they can do that too. But what takes you two months to do will take them two years and $200,000,000 and it took you two months and five coffees paid to various people. And I really believe that. 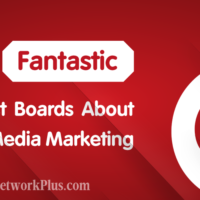 Once you get a product that people like and people are attracted by, your first success, then you can put yourself on a platform to get exposure to the large companies. Because that’s, for me, the other big learning is the large companies watch the small companies way more than the other way around. They are curious about who is doing something interesting out there that we can either learn from or buy. It’s insane how much that is happening. That’s like my three and a half practical steps on what to do. We’re faster, smarter, and we’re awesome. Be an entrepreneur, be a small business. (Laughter) Thank you, Ulli. That is very interesting. Please share with us how can we connect with you and find more about you. Absolutely. Thanks for asking. The best way to connect with me is probably through my website, which is also my blog is at first-the-trousers.com. So first the trousers with dashes between the words. And there you will find ways to get ahold of me, my social media links, my products and services and my writings. So that’s the place to go. Fantastic. Thank you so much. It was a pleasure to have you on the show early. Thanks for having me. I really enjoy talking to you. Thanks Marina.